I just recently spent some time working on my router with the hopes of adding security and performance to my home network. My plan was to enable a feature called MAC Filtering (only allows certain devices access to the network, cannot be bypassed), but while I was there I realized I couldn’t do it. It never occurred to me how complex my little home network had become. Do you know how many devices I found out were on my network? FIFTEEN! Nine computers, two printers, two mobile phones, a Nintendo Wii and a Nintendo DSi!!! The epiphany was that simple router and network tweaks weren’t going to be enough to manage my network, especially if I ever want to add networked entertainment someday. I needed a home server. For those who do not know, a server is simply a computer or device that has special software or operating system that manages a domain or network. There aren’t that many options for home servers out there, but fortunately the most available option is a great one. 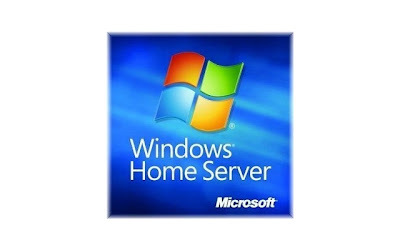 Windows Home Server hit the shelves a few years ago with mixed results, but the most current iteration is superb. You can install Window’s Home Server on just about any old PC you have kicking about. You could use an old laptop but I would warn against that as a server stays powered on continually. Laptops just weren’t built for that where desktops are. The only two specifications that really matter to server performance is RAM and hard drive capacity. Graphics mean nothing to a server and a middle of the road processor is more than adequate. All you need to do is buy the Windows Home Server software which retails for as low as $55 (always under $100). Once you own the software the installer all but holds your hand through the installation process. Even Aunt Edna could do it! So what does MS Home Server do? It creates a place where you can manage everything on your network . . . shared storage, security, PARENTAL CONTROLS (yeah! ), printers, and a great deal more. The really amazing service that a home server provides is any time anywhere access to your files and PC’s. You can log into your server from anywhere via the web and have access to all of your home resources! That alone makes a home server almost indispensable. Imagine never being without an important document or file ever again. Although I have not bought my copy yet, I already have an old PC that is ready and willing to become my home server. I do not think it takes a prophet to foresee every home with a server in the near future.